I’ll be the first to admit it. I’m not the smartest person in the world when it comes to investing money. Heck, the very first stock I ever purchased in my life was for Marvel. Sounds great now, sure, but not back in the early ’90s right before the company almost went bankrupt. No matter how many times someone explains to me about selling short, IPOs, dividends and all that, my eyes just start to glaze over and I just say, “Go ahead and take my money.” Good thing I don’t work in financials, huh? I could sit through countless boring and drool-inducing seminars to finally get the hang of it. But really, who has time (or the patience?) to do that? Instead, I looked to Rich Dad’s classic (yet newly updated!) 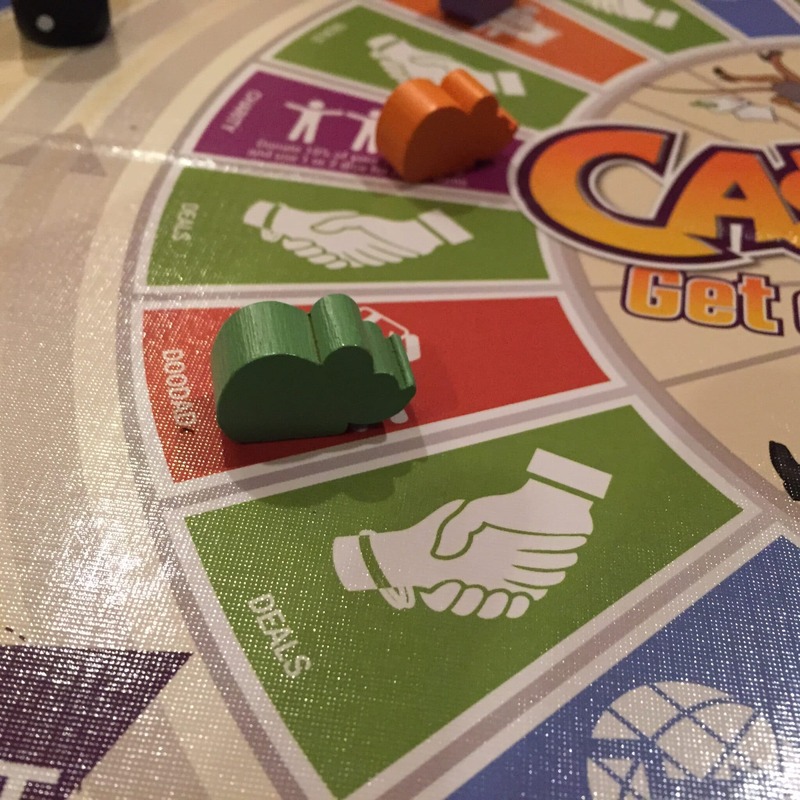 board game CASHFLOW to teach me the everything I need to know about investing and having a profitable portfolio. The game consists of the inner circle (aka The Rat Race) and the outer one where big bucks are made! Battle your way out of the Rat Race by acquiring property, stocks, businesses, precious metals and more. You’re not just playing against each other; you’re playing against the housing market, the stock market and even Mother Nature. We’ve tuned up the New CASHFLOW to be faster paced, more cooperative and create more frequency of interaction than ever before. Every card can change the course of the game. Every deal is up for grabs. If you’re not on the ball, you might miss big opportunities. ALL NEW with New Ways to Win! MORE FUN AND LEARNING THAN EVER! 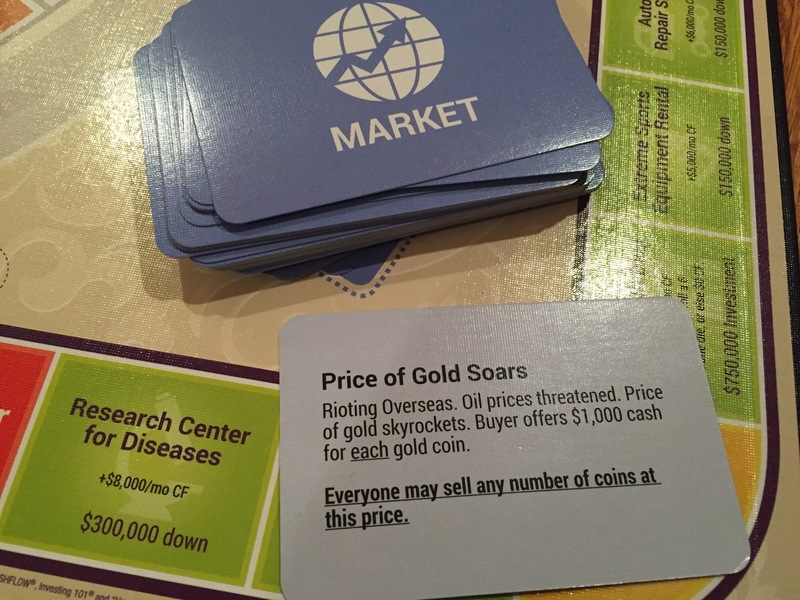 There are a number of different card types (Market, Big Deal, Small Deal and Doodad) to simulate various actions that affect your life and the overall financial markets. You also get a Profession Card, full of loads of financial stats to get you started. And of course, it wouldn’t be a financial game without a financial statement! How cute are these little wooden rat playing pieces? I tried playing the game with Allie, and of course, the kids (a bit young at 9 and 11) wanted in on the fun. Or at least in on the money. It was definitely a bit over their heads, but it was still great to expose them to concepts like “income” and “expenses.” You’re definitely never too young to learn those. 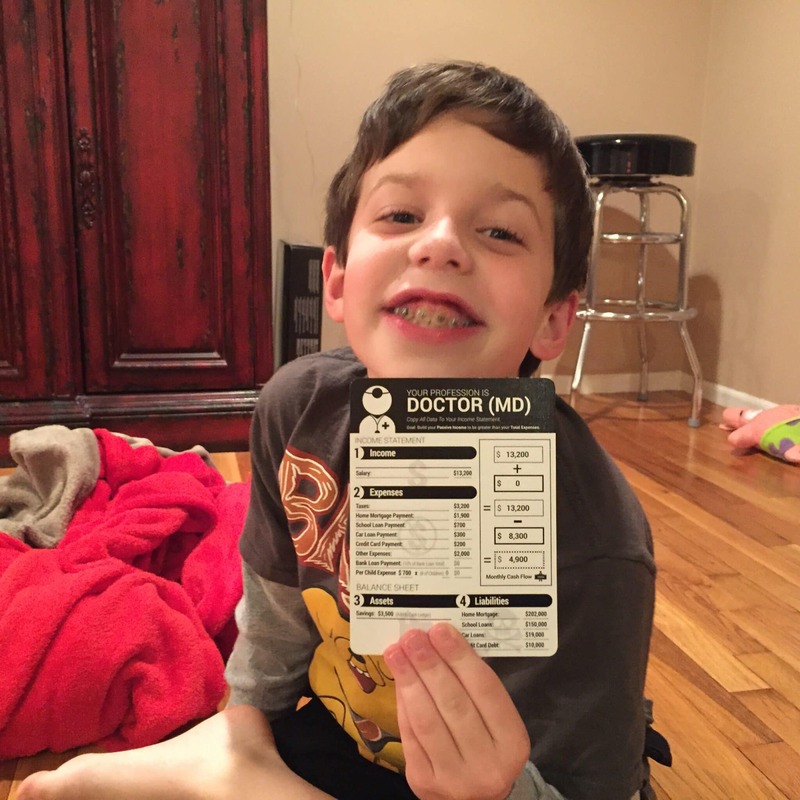 Ryan was happy to be a doctor. As you go around the board, you encounter various spaces, you take appropriate action Pass Payday and you collect your salary (minus expenses but plus any passive income, etc. ), or land on a card space and draw the appropriate card before taking any necessary action. 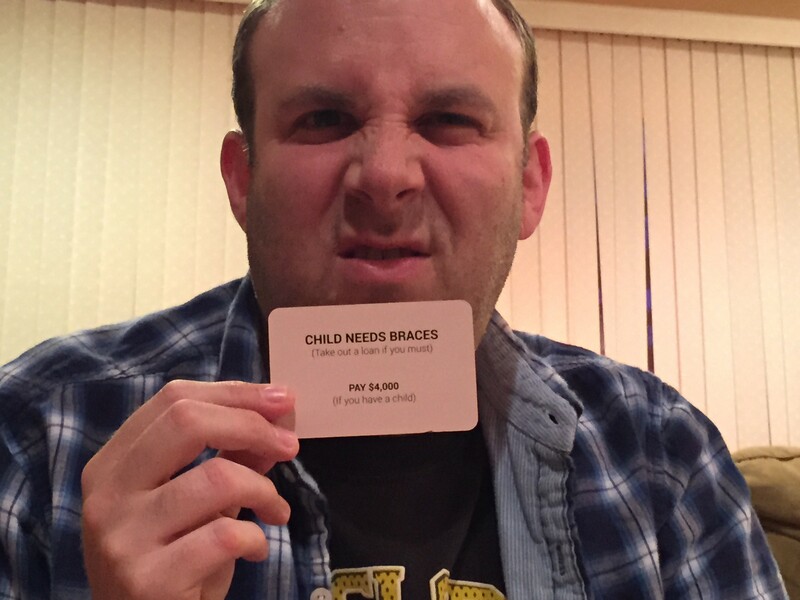 I wasn’t too happy to get a “your kid needs braces” card. 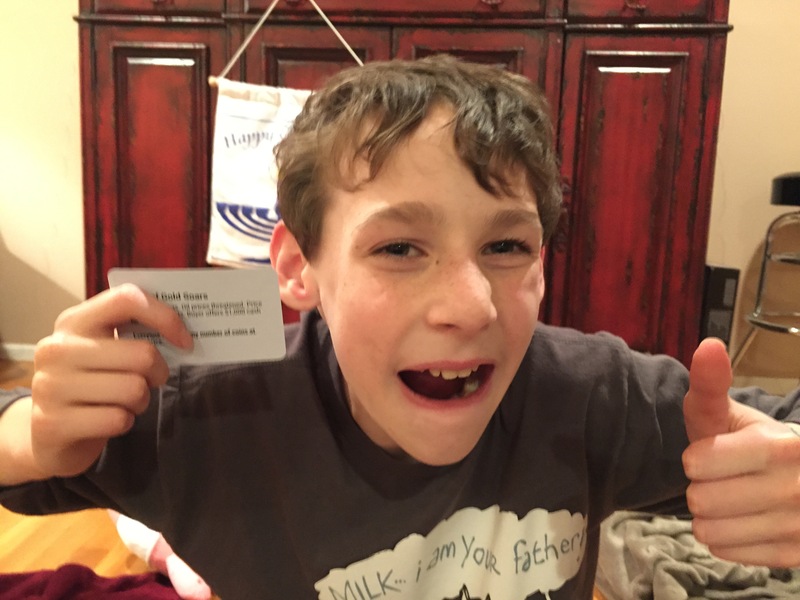 Some cards are bad (Like paying $4k for braces! Eep! ), while others are good (like the price of gold soaring!). The kid knows to invest in gold, apparently! Luckily, every player can join in on the profits! CASHFLOW isn’t just a fun game, it really is educational. Scary, I know! It’s a great learning tool for how investments and portfolios work, not just for someone like me, but especially for kids just starting out on the road to financial success. Hey, they’ve gotta do something with their allowance, don’t they? Get in on the fun (and the learning!) yourself. You can even save 10% off CASHFLOW at Amazon when you use this exclusive coupon code: CASHFLOW. I hadn’t heard of this game before, but it looks like so much fun! I love the rats! Never played it. Looks like fun. 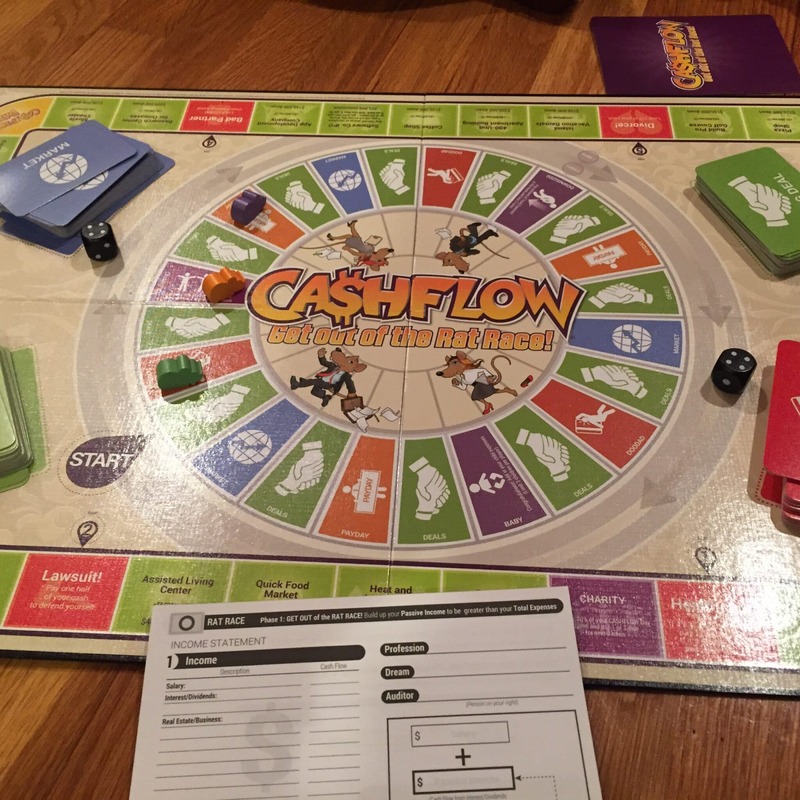 Cashflow is a great educational game for improving your financial IQ. Didn’t know they updated it. I kinda miss playing this. Yeah, it’s like 20 years old, yet I never heard of it until now. Looks like they did some major updates too! Subscribe and get all the insider info! Never miss a minute! Copyright © 2018 MOMMY'S BUSY GO ASK DADDY All Rights Reserved.